Grizzly screens are usually employed to extract coarse material from storage hoppers and convey it to downstream crushers. 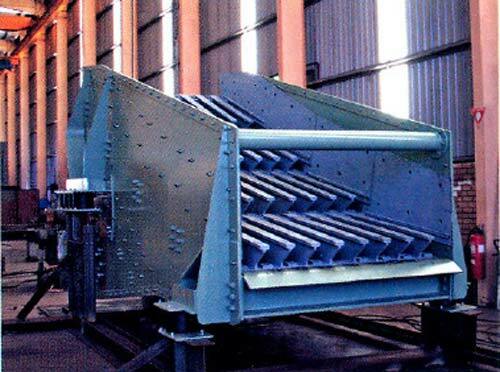 They are used for screening smaller grain size in the feed material which do not need crushing. Electro Zavod grizzly screens are specially designed for such application. Electro Zavod grizzly screens are produced with one or two decks. The top deck feeds coarse material to the crusher and the lower deck screens the balance material in two separate grain sizes.